Lockheed Martin just won a huge $150 million contract with an option for additional $942 million to develop and manufacture two high-energy laser weapons for the US Navy. This system will be combining the first-of-a-kind High Energy Laser and Integrated Optical-dazzler with Surveillance (HELIOS) with Intelligence, Surveillance, and Reconnaissance (ISR) capabilities for defence against UAVs. It is expected to be delivered for installation on warships by 2020. 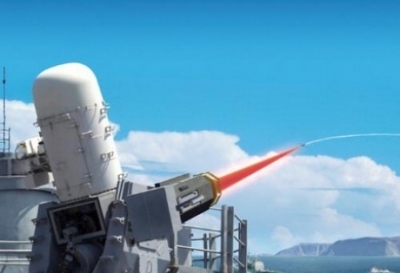 The new Navy Laser Weapon will be using the research carried out by Lockheed Martin on its ATHENA system and the ALADIN laser, US Army’s RELI program, US Air Force’s LANCE program, and the US Navy’s HEFL program. So, this program will be combining the top technologies from all departments to create the ultimate laser weapon. HELIOS uses fibre-optic lasers combined using a spectral beam system to produce a single, high powered beam of light. The use of fibre-optic cables means that the weapon is solid state and the weapon can be made compact by folding the cables in on themselves. It still needs to be installed on a stable platform with sufficient generating capacity to minimize vibrations and to provide the proper electricity to power the lasers and all these requirements are comfortably met by a warship. Lockheed Martin says that HELIOS is the first laser weapon to combine a high-energy laser capable of destroying or disabling UAVS or small boats with a long-range ISR capability to identify and study possible targets. The weapon can also be used to blind the sensors on the UAV to disable it without actually destroying the vehicle. The first of two lasers will be delivered in 2020. One will be installed in an Arleigh Burke-class destroyer, and the other will be sent to the US Army’s White Sands Missile Range in New Mexico for testing. This will mark the beginning of a new age of laser weapons. We will have to wait and see how it turns out.